Bullpup Shoot Sept. 15th in Mt. Carroll Illinois, FREE to the public! 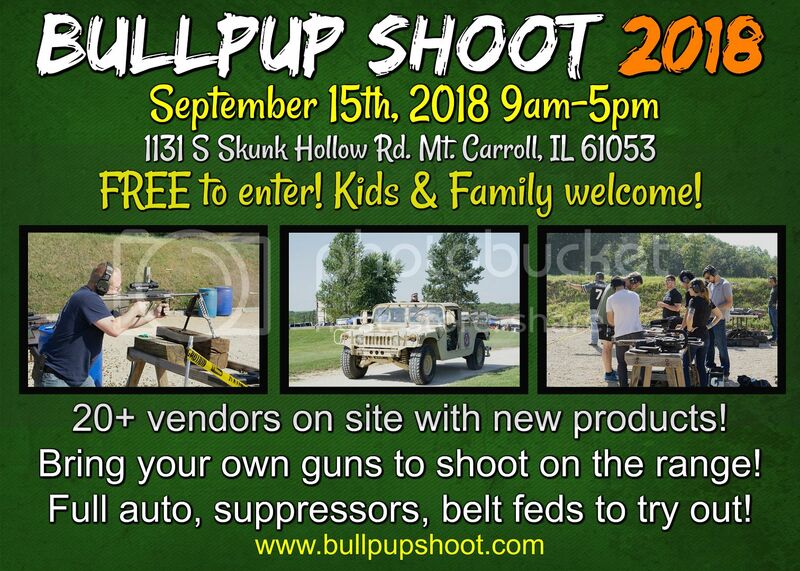 Manticore Arms will be hosting Bullpup Shoot 2018 at The Site Training in Mount Carroll, IL on Saturday Sept. 15th from 9am to 5pm. FREE to enter, plenty of demo guns to shoot, bring your own guns- bullpups and plenty more stuff there to check out! Oh yeah. I'll be back again this year. Will the .Barrett M82's be there? Had a blast last year!! Yes, we should have at least one Barret M82 there, plus several other new (and old) cool things....like a civil war black powder cannon and crew doing demonstrations! Honestly I think an attack helicopter with mounted M134 is necessary. Come shoot the Tavor 7 at Bullpup Shoot 2018 on Sept. 15th! Open to the public, shoot demo guns for only the cost of ammo! 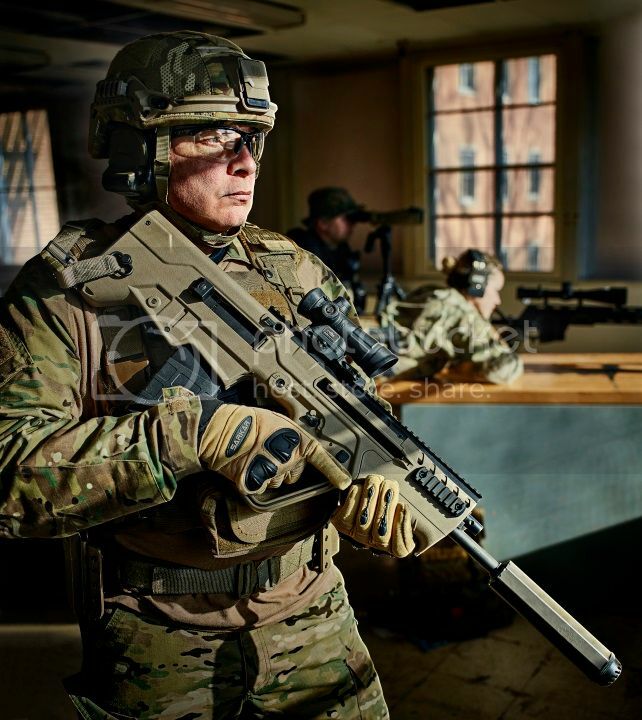 (No, we don't know when the Tavor 7 is shipping, but you can ask the IWI reps that will be there! I have a slight issue that seems to draw me to oddball 12ga semi-autos like a moth to a light. When you're betting for stones in an archery contest, you shoot with skill. They said they couldn't commit to bringing the Tavor TS12 shotgun, at least not as of yet. If they commit I will certainly post up here. We do plan to have an MKA 1923 semiauto bullpup shotgun there to at least see and handle, aka "the not Tavor shotgun that looks more like a Tavor than the TS12"
Sounds like an awesome event. How have I not heard about this before! It is! Dont miss it! You'll have a ball!!! I always have a hard time deciding what to bring... I've been a rolling arsenal when heading to this event..LOL!! 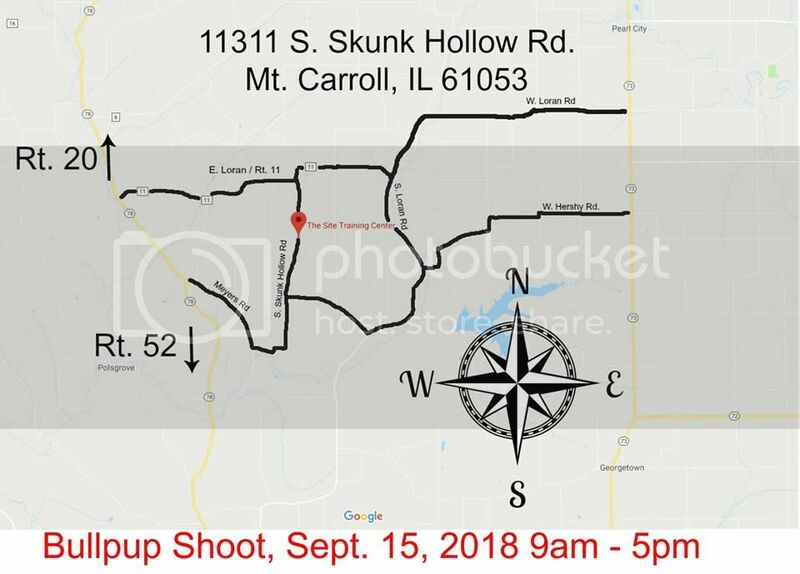 In case you are not familiar with the location of The Site Training (which is a bit "out in the boonies") here is a map we put together to help you find your way! Tho I dont recall much..if any .22 shooters in the past...I'll have a brick I want to bring as well(Not counting that in the round estimate)... GO AHEAD AND LAUGH... I love .22!...its a hoot! I regrettably missed this last year... Not happinin' this year. But...daaaang..it was HOT. Wearing all black didnt help either. I spent way too much time looking for shade...LOL!!! One discovery that was nice...the 'evil looking' MSR's were able to eat steel cased .223 with no problem! So next year I'll bring more than just 100 rounds of that stuff. Thank you "The Site" and Manticore Arms for an OUTSTANDING day! Maybe I'll come and heckle you while you run the course. I was there and shot 8 out of the 9 full auto guns available and the 50 cal and it was fun. Disappointed that the rate of fire for the AK-47, AK-74 and the UZI were slowed down and not really full auto as advertised. Edited by 357, 19 September 2018 - 06:19 PM.